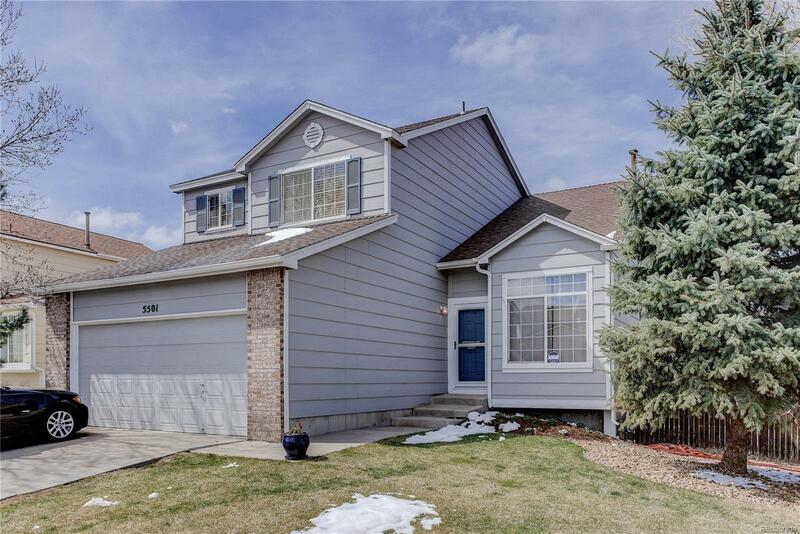 Updated Saddle Rock Ridge two-story filled with light features new carpet, new paint and updated master bath! The desirable Cherry Creek school district, close proximity to Southlands and nearby trails and parks make this the perfect location for your next home. Situated on a large corner lot, look over your spacious flat yard from the Trex and Cedar deck perfect for entertaining or enjoying warm summer evenings. Popular finishes can be found throughout including a white kitchen with stainless steel appliances overlooking the family room accented with a gorgeous stone fireplace. The upper level has space for everyone with three secondary bedrooms and full bath, the master bedroom with dual walk-in closets and newly finished five-piece master bath is the perfect retreat! The finished basement is perfect for a game room, media area or space for your favorite hobby. Another bedroom and full bath could be used for guests or an exercise space! This home will not last long, Call Today!